I first started writing about China when I went to visit the southern city of Guangzhou, which is the capital of Guangdong Province, for a one week holiday in autumn 2002. Initially it was only meant to be a short holiday and I had no firm intention to live in the country on a long term basis. 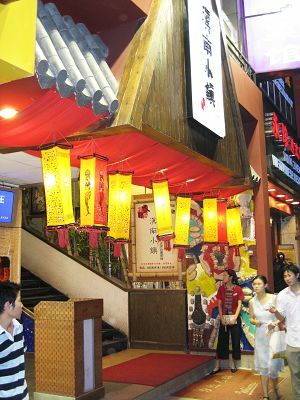 Prior to this trip I had very little knowledge about the country, its people and the Chinese culture. Indeed there is no point in learning the language if one is not fully understanding of the culture- and I truly believe that goes a long way when someone is in China. You can be a perfectionist in your Mandarin skills, but still fail to associate yourself to the culture. That one week’s vacation, plus a further opportunity to come and work in Hong Kong at a future date laid the firm foundations for me to turn all those situations related to culture shock which I came across, both in and outside the corporate environment, into a diary format. It’s always been my habit since childhood to write a short diary of events and taking pictures of everything and anything, whenever I go on holiday or on business trip because when you are away from your usual surroundings in a different country, everything seems strange and weird to look at and feel. The only challenge in today’s day in age is that everyone has a digital camera, and anyone can travel to China and say that they have had various travel experiences- which is perfectly acceptable. However as a professional writer it is always in the mindset to write something different to what other people have written and to focus on areas where others have not focused on. It’s about the quality and not necessarily the quantity- words mean not much if the focus of the writing is not pitched at properly. Any foreigner going to China for the first time will find it different compared to most other countries because of the complex language and cultural issues. I wanted to portray those differences in a straight forward and honest manner so that other expats coming to China would not have to go through all the difficulties that I had to go through, combining chapters with short stories of my own personal experiences to write a detailed guide book which covered everything and anything about life in China for the foreign expat. This could be for people who want to make China their second home for the purpose of work, marriage, education or if they just want to start a new life in China. Just to give you an idea of what I mean- for example, I had to face various challenges when I wanted to rent a place to live in Shenzhen and being in that hardship environment the steps I took to resolve those difficult issues with the local people (landlord, tenant agency and so on), and similar advice is provided for other scenarios. The most important message I have portrayed in my book is that we as non-Chinese people living in China should not reject the local culture but instead learn how to deal with the difficulties. I knew that no one single author had written a detailed comprehensive guide book about China, and I wanted to make it different to your average, say, “Rough Guide or Lonely Planet to so and so”. As much as I had wanted to write a book, the challenge I faced was that firstly I was not a professional writer so therefore I had to really work hard at convincing publishers that my work is worthwhile for readers. I did, however, always have a passion for writing since school days, and this was one of my advantages. The second challenge for me was that I had to make the book different to other travel guide books, and this is why the book is specifically aimed at the Expatriate and not the tourist (although it may be beneficial for the latter too). That is where I started to carry out detailed research by myself to create a comprehensive 120 page list containing names of Hospitals, International Schools, Chamber of Commerces’, Airline companies, Management Consultancies’ in China; as well as special chapters on how to deal with Culture shock before you go to China and when you are there. I guess another thing that makes this book different is that it’s written by a British-Indian, and it’s rare for an Indian to write about China, simply because people of these two cultures don’t tend to mix much and there are diverse differences between the two. I have been told that I am the first British-Indian to write a travel guide about China. Currently I am busy with various projects that involve travel writing, not just about China but other destinations as well. I am keen on expanding my portfolio of travel guide books and focusing more for the luxury travel market in China. 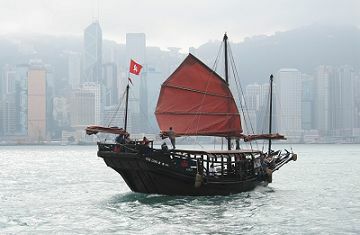 For me China is the love of my life, if anything it has certainly changed my life and the way I think about the country. 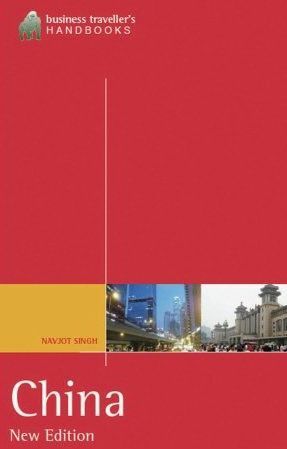 Navjot is the author of “Newcomer’s Handbook Country Guide: China: Including Beijing, Guangzhou, Shanghai, and Shenzhen” (First Books Inc, 2008), and has also written “China: Business Travelers Handbook″ (Stacey International UK, 2009). You can buy Navjot Singh's books online if you are interested in them.